Our gut is almost as important to us as our brain or our heart, yet we know very little about how it works. In Gut, Giulia Enders shows that rather than the utilitarian and - let’s be honest - somewhat embarrassing body part we imagine it to be, it is one of the most complex, important, and even miraculous parts of our anatomy. And scientists are only just discovering quite how much it has to offer; new research shows that gut bacteria can play a role in everything from obesity and allergies to Alzheimer’s. 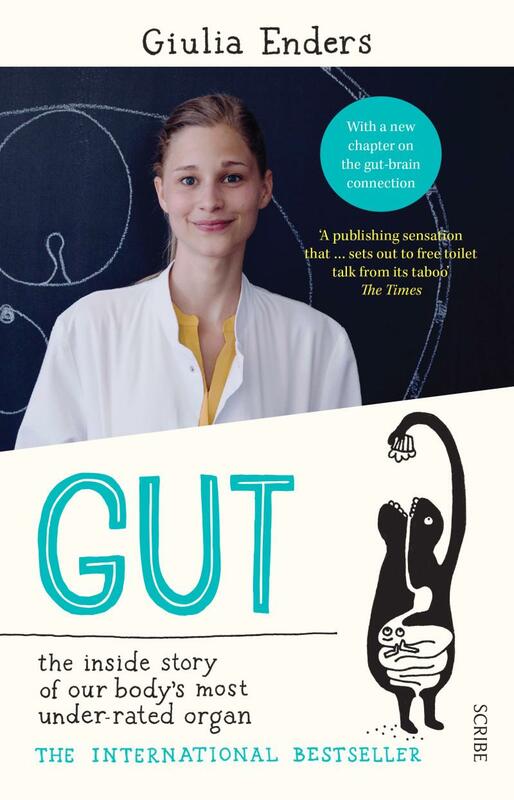 Anyone who enjoyed Norman Doidge’s bestselling The Brain That Changes Itself will find much to appreciate in Gut: The Inside Story of Our Body’s Most Under-Rated Organ. While these two organs may not appear to have much in common, and to have vastly different interest ratings, the gut has more effect on the way we think and feel than most of us realise. Enders is currently studying for her medical doctorate in Germany and was partly drawn to the field by a frustrating and protracted misdiagnosis in her late teens. She is a lucid and friendly guide to the latest research and an advocate for the judicious sharing of knowledge, where the risks are few, in a more timely fashion than most peer-reviewed publications generally enable. In the same way that, prior to the publication of The Brain That Changes Itself, neuroplasticity was not something about which most people were aware, Gut looks set to change popular conceptions about health and our understanding of the relationships between the various enigmatic systems in our bodies. Two key areas addressed in Gut are likely to be on the public mind in years to come: the brain–gut link and its ramifications for mental as well as physical health; and the urgency of us all updating our understanding of the purpose and value of ‘good bacteria’ and bacteria balance. Gut is rich but not dense with fascinating facts, perspective-altering research anecdotes, and practical advice. While those who have read Slow Death by Rubber Duck might be dismayed to see that plastic chopping boards are the most hygienic (but not too hygienic), others will feel smug about their regular yoghurt and sushi-eating ways. Enders demystifies allergy and intolerance issues, clarifies the connections between our external and internal environments and puts forward a great case for making a concerted effort to support the good bacteria we’ve apparently been working with since we first crawled out of the sea. You are unlikely to think about food choices the same way again!